How can New Jersey communities be innovative? 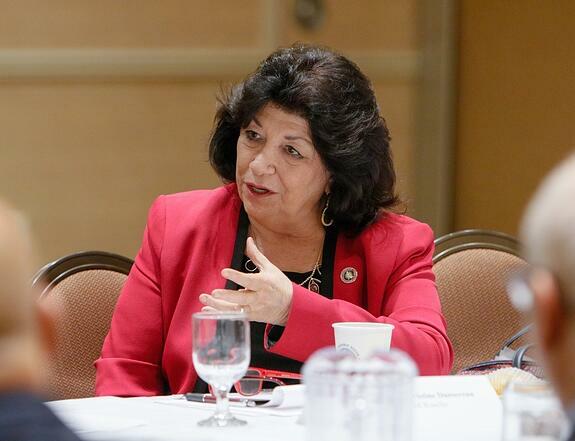 Each year at the New Jersey League of Municipalities Annual Conference, elected officials head to Atlantic City to share their vision for the direction of the state, its municipalities and the people whom they have sworn to serve. More than 10,000 people participated in policy meetings, panel discussions and receptions that celebrate the work of all 564 municipalities in the great state of New Jersey. Thomas Edison State University was just one of the 10,000 attendees and more than 725 exhibitors. On the exhibit floor, a whole host of exhibitors presented everything from the latest dump trucks for communities, to organizations that provide services such as energy, infrastructure or document management to help communities perform better. The League of Municipalities theme for its 103rd annual conference was ‘Municipalities Leading the Way.’ The John S. Watson Institute for Public Policy of Thomas Edison State University has always worked to provide municipalities with cutting-edge thinking while addressing challenges and opportunities facing communities in today’s technology-driven, knowledge-based economy. So the theme this year was especially poignant for us and the New Jersey Urban Mayors Association, an organization through which the Watson Institute provides policy and legislative analysis for 32 New Jersey municipalities. Thomas Edison State University and members of the New Jersey Urban Mayors Association attend a policy breakfast on innovation. Photo by Cie Stroud. 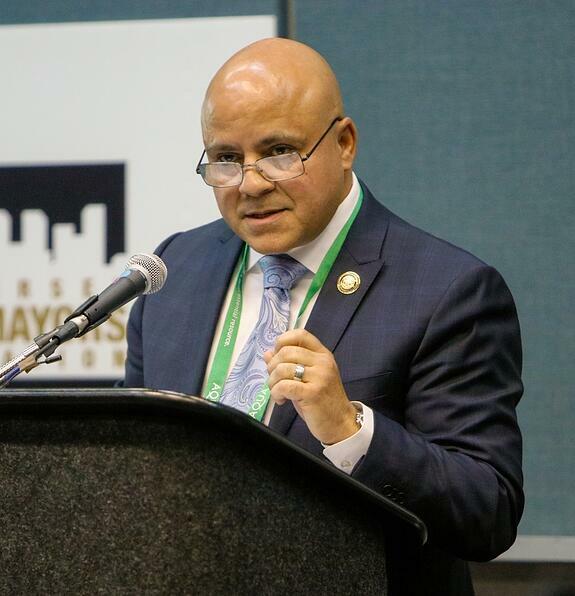 Established in 1991, the New Jersey Urban Mayors Association works with state and federal lawmakers and officials to develop appropriate and effective public policy measures that benefit the state’s urban centers. The organization helps lawmakers understand how public policy affects New Jersey’s cities and municipalities. Through my work with the New Jersey Urban Mayors Association, I was excited to highlight individual cities and their tremendous initiatives. On Nov. 14, at the New Jersey Urban Mayors Association League Session: ‘Innovation Cities: Advancing the Quality of Urban Life’ attendees explored cutting-edge thinking and concrete examples of how urban mayors are creating and collaborating on innovative initiatives that are helping their communities tackle local challenges and improve city services for residents through community-led solutions. As we gathered in Atlantic City, it was not lost on us that the economic recession has been hard on this city. This Jersey Shore town has been affected by amassed competition of the casino industry, the impact of Superstorm Sandy and the once booming city’s takeover by the state. The Hon. Frank M. Gilliam Jr., mayor of Atlantic City, presented on the city’s status and the prospects that lie ahead. We did learn that the future of Atlantic City is one of promise, hope and resilience. Atlantic City can be revitalized through strong partnerships with the state of New Jersey and a focus on entrepreneurs and innovation, workforce, investment climate, support for businesses in expanding their markets, and a stronger connection between universities and the state’s economy. Hon. Frank M. Gilliam Jr., mayor of Atlantic City. Photo by Cie Stroud. Success in imminent. Business incentives are expanding and the city’s credit rating has improved. In July 2018, the New Jersey Economic Development Authority (EDA) issued requests for proposals to New Jersey municipal and county governments for a $100,000 award that serves to catalyze planning and key investments in cities and regions that augment their innovation ecosystem. This will help inform the EDA’s own plans for economic development activities and programs, and will be shared by the Authority with other local governmental entities to foster further innovation across the state. Out of the nine contracts approved by the EDA Board in September 2018, Atlantic City was one of those recipients. The Hon. Christine Dansereau is the first female mayor of Roselle; she took office in March 2015. Hon. Christine Dansereau, mayor of Roselle. Photo by Cie Stroud. 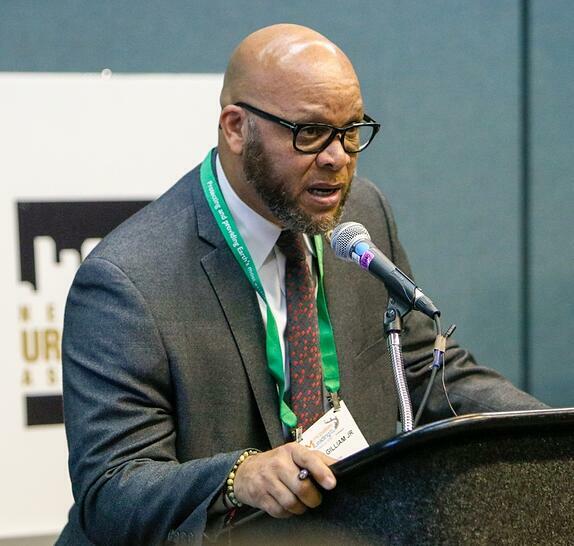 As Northern New Jersey vice president of the New Jersey Urban Mayors Association, Dansereau conveyed the importance of collaboration in achieving goals and working collectively to address policies that impact all urban cities. The narrative of Camden as a rising city, a city that has overcome its challenging past, is currently evolving. At this critical instant, the stats on crime seem to say so, with official data showing a double-digit drop in violent crimes during the first nine months of 2018. The buzz is that this advancement is also starting to show in the local business community. Hon. Frank Moran, mayor of Camden. Photo by Cie Stroud. Hon. 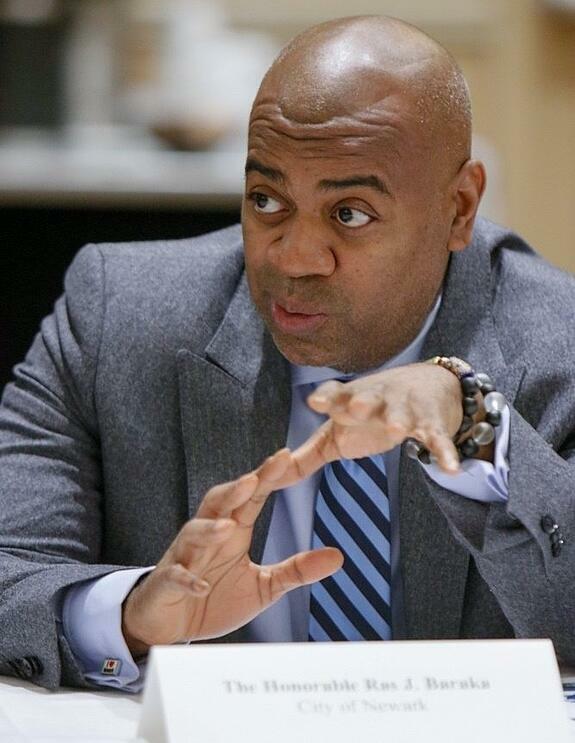 Ras J. Baraka, mayor of Newark. Photo by Cie Stroud. Baraka’s words ring true and answer the opening question: how can New Jersey communities be innovative? We must work together to design the policy that directly creates innovation and addresses our challenges. New Jersey’s urban centers have the most densely populated communities in the country, yet they do not have opportunities for success and growth that they should. Urban cities are the new mecca. Millennials and baby boomers alike are moving back or staying in cities, looking for affordable housing, jobs, great schools, recreation, public safety, culture and transportation connectivity. New Jersey's urban centers must be at the forefront, leading the discussion on sound policies to advance the state's interest and sustainability. The result would be not only foster a revival of cities, but also a strengthening and revitalization of all of New Jersey. Shoshanna is a project specialist/fellow for the New Jersey Urban Mayors Association at the John S. Watson Institute for Public Policy of Thomas Edison State University and provides analysis and recommendations on shaping public policy and improving the quality of life for New Jersey’s urban communities. 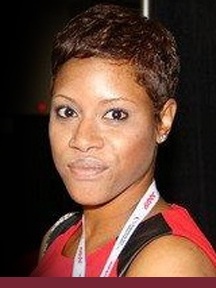 She is a board member for the Northeast Economic Development Association, a member of the International Economic Development Council, a co-chair for the Jersey Water Works education and outreach committee, and a founding steering committee member for the City of Trenton’s My Brother’s Keeper Initiative. She earned a bachelor’s degree in communications from Delaware State University and a master’s degree in public service from Thomas Edison State University.